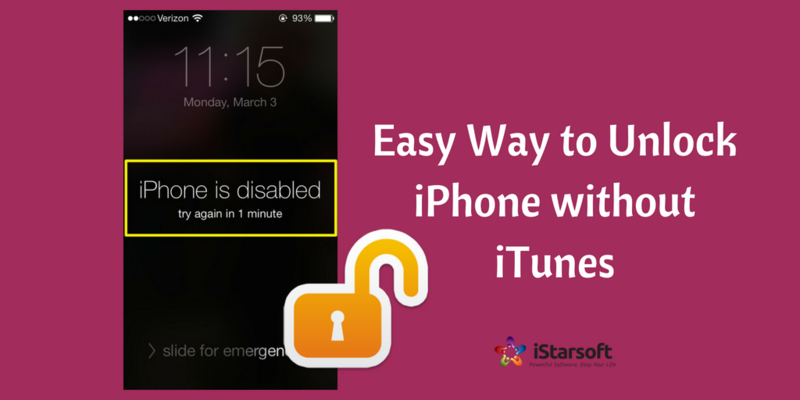 What if you have forgotten your iPhone passcode or if your device has been disabled… the statement itself seems to be irritation right… but if it happens, then you need to know how to unlock a disabled iPhone without iTunes. In this, we will provide you with different methods to fix your disabled iPhone without iTunes. In this article, we will show you two different methods to unlock a disabled iPhone without iTunes. It is pretty much easier to unlock your device without using iTunes, but only in case, you have enabled the Find My iPhone feature n iCloud. To proceed further follow the below steps. Step 1: Open the browser in another smartphone or your computer, go to the official website of iCloud, icloud.com. Step 2: It will ask you to sign in. Log in using your Apple ID. Step 3: Choose All devices, from the drop-down at the top of the interface. Step 5: If the device is successfully found then you are trying to wipe out, Click on Erase iPhone. Doing this will automatically wipe out all the existing data in the phone. However, make sure that the device must be connected to the network otherwise this method won’t work. Step 6: Now you can restore your iPhone from a recent backup. If there is no backup available, then you can simply check your iCloud photos, messages, contacts and whatever else before setting up your iPhone as a new one. Related posts, How to Fix “Kernel is Not Seandroid Enforcing” Error. If you have not synced your device with iTunes or enabled your Find My iPhone feature on their device, then this method is for you. Using this method we can enable the system to erase all the contents in the device automatically thereby prompting the Recovery Mode. It is like resetting the device back to its original settings, to its default. so all the files will be completely wiped out, security locks will be removed, and many more. Let us see how to do it. Step 1: Unplug your iPhone from any cables if connected, and turn it off. Step 2: Press and hold on to the Home button for a few seconds. Continue doing this, until the screen will show Connect to iTunes. If this appears, it is indicating that the iTune has successfully detected your device in the recovery mode. Step 3: Now try to connect the device to iTunes. If in case the device does not turn on while pressing the home button then you can simply turn on it by the usual way or manually. Step 4: When the iTunes has detected an iPhone in recovery mode, a pop-up will appear. Click Ok. Then in the summary tab, you can find the options to update or restore an iPhone. Then select Restore iPhone and the process will begin. Step 5: Once the process is completed, you can now set up your iPhone into a brand new one. Or you can also use your own backup too. I hope these two methods will help you to unlock a disabled iPhone without iTunes. Suppose, in case none of the methods work then we suggest you to use toolkit this time. The toolkit is called Fonedog Toolkit – iOS system recovery. For any doubts or any suggestion, kindly comment below.